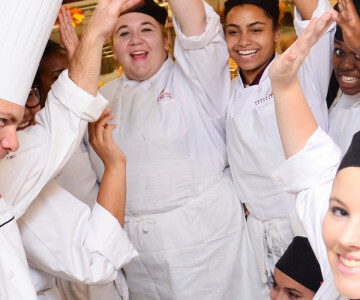 An application for admission to Walnut Hill College is available to any individual with a high school diploma or its equivalent and an interest in developing a career in fine dining, foodservice, or hospitality. You may apply online or call the Office of Admissions at (267) 295-2311 to have an application packet mailed to you. Please note that there is a $50 application fee due at the time of your submission. Two letters of recommendation from teachers, guidance counselors, employers, or supervisors, dated no more than two years prior to submission. Standardized test scores: We accept both the SAT (900 or higher combined score in Critical Reading and Math) and the ACT (19 or higher composite score). Otherwise, please schedule an appointment to take our entrance exam. 250-word typed essay describing your goals upon graduating from Walnut Hill College. A personal interview with an admissions representative. $150 registration fee due once the previous steps have been completed. Previous experience in restaurants or hospitality is helpful but not required. There are no application deadlines, but students are encouraged to apply as early as possible. Walnut Hill College enrolls students on a first-come, first-served basis. We offer full-time classes in all of our associate and bachelor’s degree programs every September and February. Students aiming for our September start may apply as early as the previous fall. Interested in part-time classes? 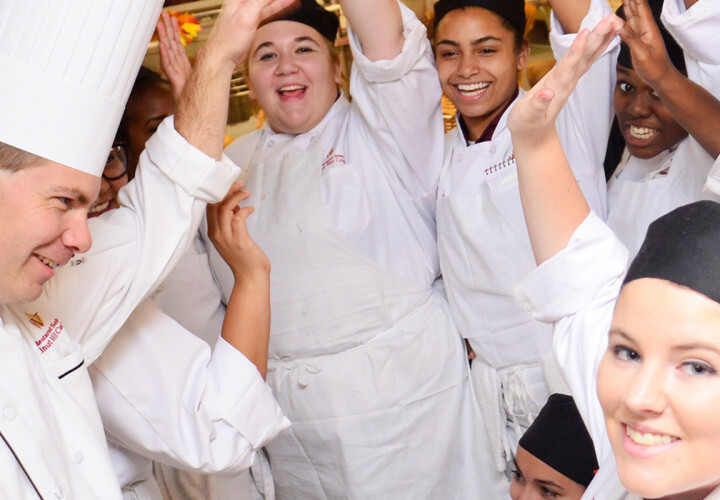 Part-time enrollment in our Culinary Arts and Pastry Arts associate degree programs begins each April and November. Contact the Office of Admissions to determine the best start date for you, and we’ll help you begin the application process.